Service Jet 100LL 80/87 MoGas Fuel Avail: 7AM to 9PM, after hours with arrangements made. Our team has more than 20 years in FBO management, is dedicated to safety in all operations, and is wholly committed to supporting the aviation professional. We look forward to meeting you and learning how we can support your mission. Manager's Name: HARRY BARRETT JR. Address: 616 WEST PERIMETER ROAD, UNIT A; AIRPORT MANAGER'S OFFICE IN AIRPORT TRAFFIC CONTROL TOWER. Airport Lighting Schedule ACTVT REIL RWY 16 & 34; MIRL RWY 16/34 AND TWY LGTS - CTAF. Unicom Frequency 122.950; ACFT REQUIRING SVCS CTC 122.85 OR 122.77. Traffic Pattern Altitude 1218; TPA WEST OF THE FIELD IS 1218 FT AGL DUE TO TERRAIN IMMEDIATELY WEST OF THE ARPT. RY 34 12 FT BLAST FENCE 155 FT FROM END OF RY. 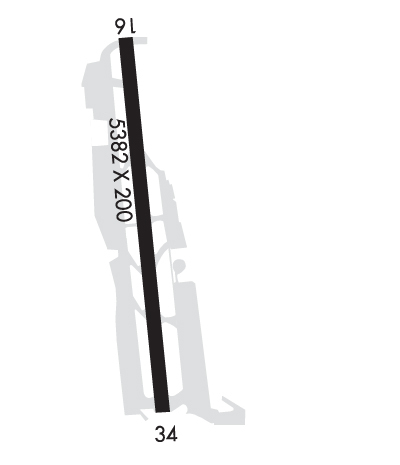 TWY B BETWEEN TWY B3 AND TWY B5 CLSD TO ACFT WITH WING SPAN 50 FT OR OVER. DRNG RNT TWR HRS OF OPR AND VMC WX, RNT TWR HAS CNTL OF THE WEST CHANNEL, OVER THE WATER, AT AND BLO 800 FT AGL. IF OPR IN THE WEST CHANNEL ABV 800 FT AGL OR OUTSIDE OF RNT TWR OPR HOURS, CTC BOEING TWR, 118.3, PRIOR TO OPR IN THE WEST CHANNEL. NUMEROUS FLOCKS OF BIRDS INVOF ARPT & ALONG LAKE WASHINGTON SHORELINE AT ALL TIMES. 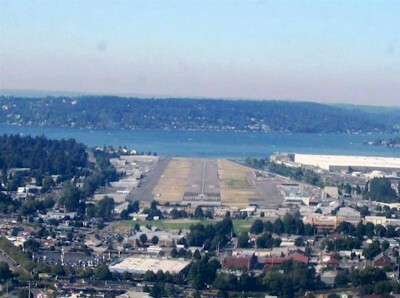 RWY 16/3 4 NSTD MIRL; 340 FT SW END UNLIT. 122.950; ACFT REQUIRING SVCS CTC 122.85 OR 122.77. APCH/DEP SECTORIZATION BASED ON SEATTLE-TACOMA INTL SECTORIZATION. Clearance slope: 33:1 Clearance slope: APCH RATIO 13:1 AT DSPLCD THLD TO TREE AT 1323 FT, 442 FT L OF CTRLN; 17:1 AT DSPLCD THLD TO TREE AT 933 FT, 180 FT L OF CTRLN; 26:1 TO 20 FT BLAST FENCE 530 FT FM DSPLCD THLD.